What Type of Relationship Does the Firm Establish With its Clients? Do You Only Handle Cases That Go to Trial? How Long Will it Take for my Case to Get to Trial? We place the utmost importance on client relationships. Our clients have been highly impressed with the quality of service we provide, since we fully and thoroughly explain legal issues as they arise, keep them informed about the status of their case, and promptly return phone calls and emails. A hallmark of the firm is that we are concerned about all aspects of a client’s life, and try to lend a helping hand when issues arise in a case that affect other areas of their lives. Eric Dinnocenzo also provides personal service to each and every client, handling all aspects of their case from inception to resolution. Most people are concerned when consulting with a lawyer that they will not be able to afford the legal fees. We welcome you to contact us about your case and we will do our best to make our fees affordable. 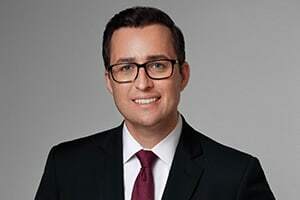 As an attorney who started off his career at legal aid, and who performs volunteer legal work, Eric Dinnocenzo believes that it is important for people to have access to the justice system. Before taking a case, we discuss with the client what the cost might be. We believe it is counterproductive for a client to hire a lawyer and end up paying the lawyer such a high fee that it will outweigh the benefits received from the case. That is why in certain cases we offer contingent fee (see number 4 below) and other types of arrangements. All of our initial consultations are free. If we decide to take on a case, our fee structure is variable—we generally handle cases on an hourly basis or through a contingency fee arrangement. In certain cases, we offer a modified contingency fee agreement, which means that we charge a reduced hourly fee to the client and also receive a portion of any recovery. In addition, on occasion we may offer a flat fee or place a "cap" on our hourly fees. In short, we do our best to try to make our fees affordable to our clients, who often face adversaries with deeper pockets than they have. A contingency fee helps make the legal system affordable to the average person. The lawyer only earns a fee if there is a recovery through settlement or trial, and that fee is a percentage (typically one-third) of the total recovery. If there is no recovery, the client owes us no legal fee. We offer contingency fee arrangements in all personal injury cases we accept, and also in many life insurance denial and bad-faith insurance denial cases. No. Although we are a litigation law firm, we provide other services to clients such as consultations, reviewing and drafting legal documents, and negotiating on their behalf. We recognize that some clients may have a need for legal representation that does not extend to trial work. Most cases settle before trial. Despite this fact, we prepare each case thoroughly as if it is going to trial, and we are in fact prepared to go trial in order to get the results you deserve. This makes us unlike some other firms that regularly try to pressure clients to settle, even when it is not in their interest to do so, because they are unwilling or not prepared to try cases. Our approach also helps to increase the value of your case, since the other side will take us more seriously knowing that we are willing to participate in a trial. It varies depending on what court your case is filed in and where that court is located. Cases generally take about two years to get to trial, sometimes more and sometimes less. This is because of the high number of cases that are filed in New York and New Jersey courts.